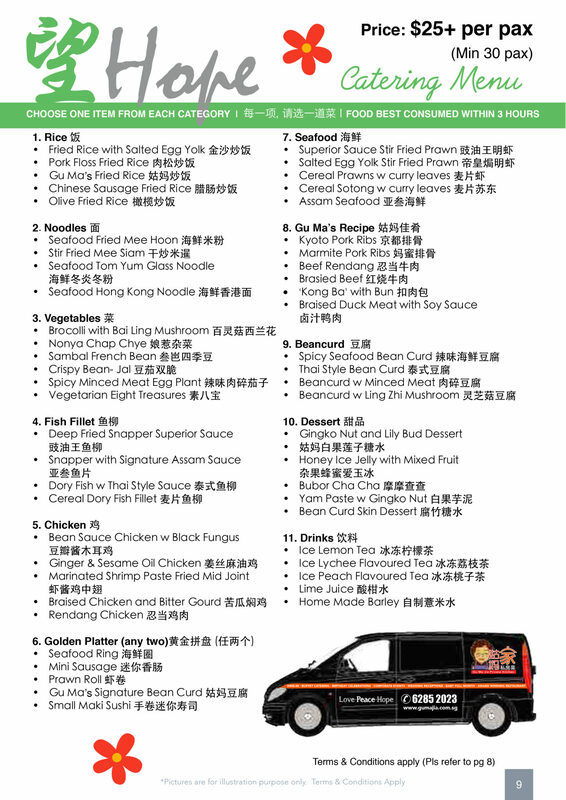 At Gu Ma Jia, we pride ourselves in providing dedicated service and quality food. As such, we only cater to 1 customer per day for any buffet catering, to ensure topmost quality in the food we are serving. For any of your special occasions or events such as Birthday Celebrations, House Warming, Baby Full Month, Company Grand Opening or Launches, Trainings / Seminars, Wedding Reception. Consult us to make your event a memorable one and book your buffet with us! 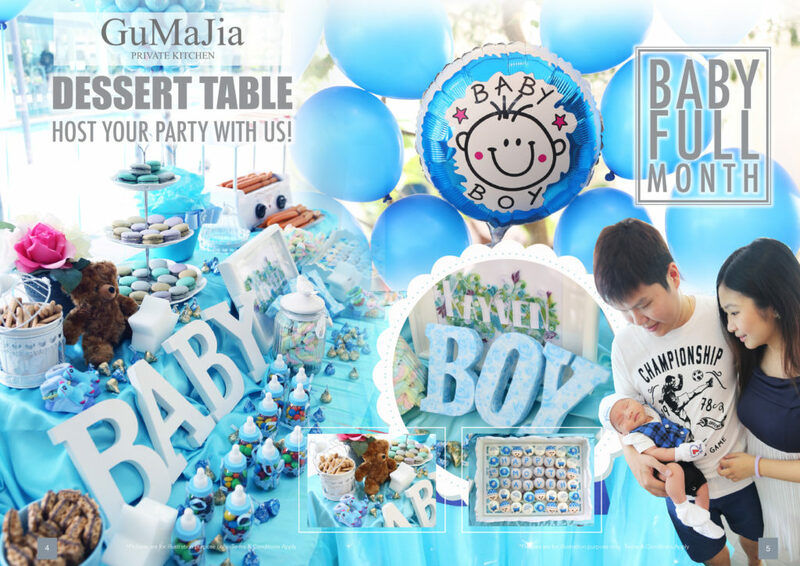 Order your baby full month celebration buffet and dessert table from Gu Ma Jia today! 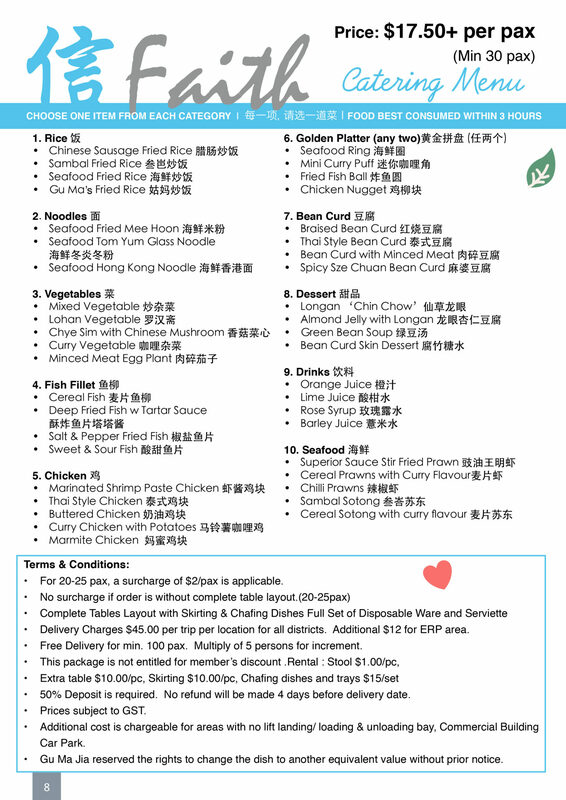 For 20-25 pax, a surcharge of $2/pax is applicable. Delivery Charges $45.00 per trip per location for all districts. Additional $12 for ERP area. 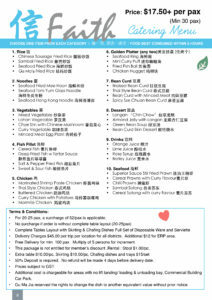 Free Delivery for min. 100 pax. Min. multiply of 5 persons for increment. 50% Deposit is required. No refund will be made 4 days before delivery date. Additional cost is chargeable for areas with no lift landing/ loading & unloading bay, Commercial Building Car Park. 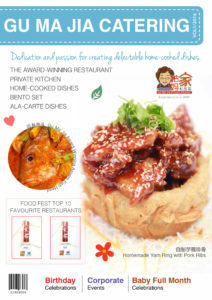 Gu Ma Jia reserved the rights to change the dish to another equivalent value without prior notice. 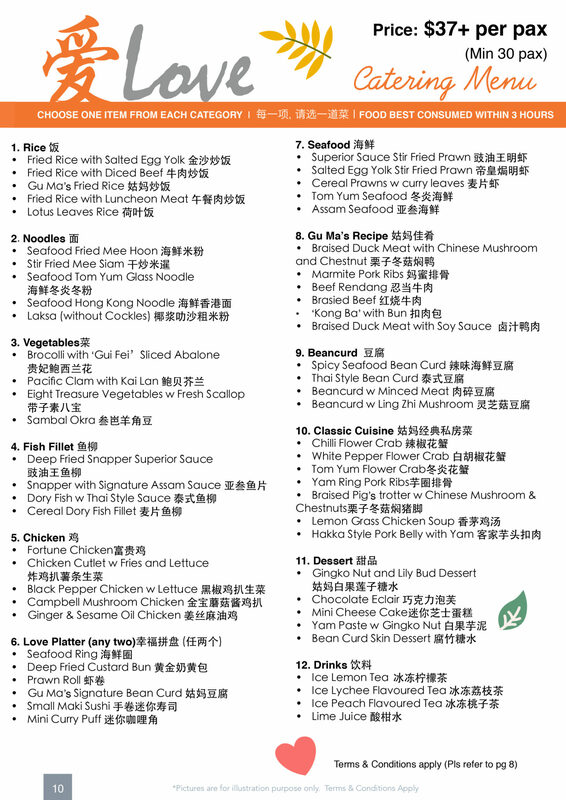 $2 surcharge is applicable for 20 & 25 pax (With full table set up and burner). Gu Ma Jia reserves the right to amend any terms and conditions without prior notice. Please note that the holding time for table reservations will be 15 minutes. All guests have to arrive before we assign the table to you. Should all your guests arrive after 15 minutes, the reserved table will be released to the next customers in the queue. We will our best to assign the next available table. 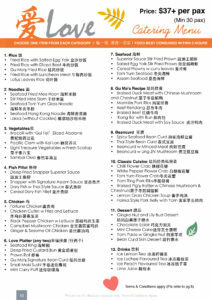 On weekends and Public Holidays, reservation for tables is limited to minimum 5 pax and above. 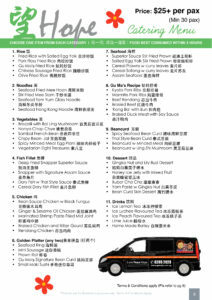 For groups of 4 and below, strictly no reservation, appreciate that you join the queue.